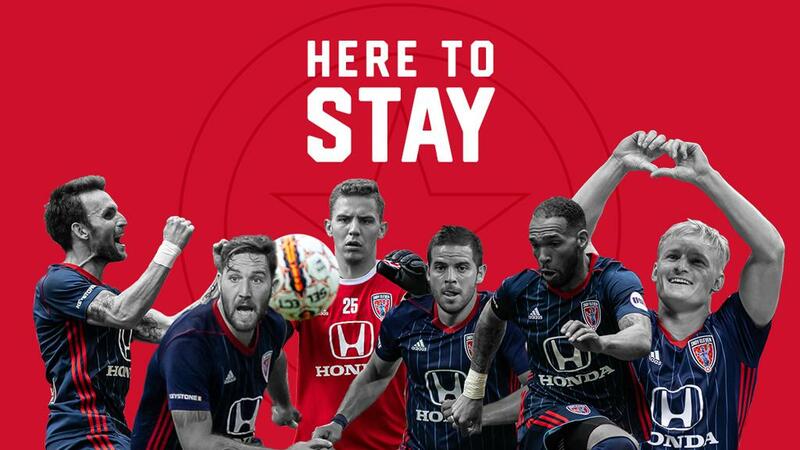 After a breakout United Soccer League season that saw Indy Eleven secure a playoff berth in 2018, the club has taken its first steps in planning for 2019 with the announcement of returning Boys in Blue. Indy Eleven have confirmed that the following players will return for the 2019 USL season: Goalkeeper Jordan Farr; defender Ayoze Garcia; midfielders Nico Matern, Ben Speas, and Matt Watson; and forward Eugene Starikov. Further announcements regarding additional returning players for 2019, along with new signings, will be announced in the coming weeks. The club also announced that contract options were declined for midfielders Amass Amankona, Nathan Lewis, Zach Steinberger and Seth Moses. Loan arrangements with goalkeepers Owain Fon Williams (Inverness Caledonian Thistle, Scotland) and Ben Lundgaard (Columbus Crew, Major League Soccer); and forwards Elliot Collier (Chicago Fire, Major League Soccer) and Diego Campos (Chicago Fire, Major League Soccer) have concluded and those players have returned to their parent clubs.